Brand new, colourful anodised addiDuett dual purpose crochet hook from addi. 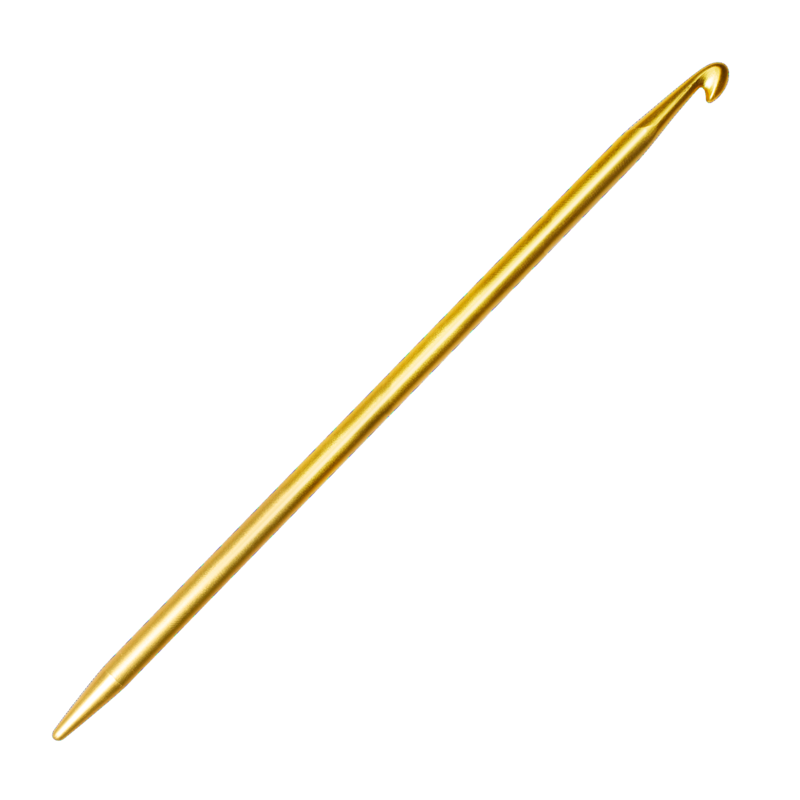 The addiDuett has a crochet hook at one end and a slim knitting needle tip at the other end. This practical addition enables you to combine the two crafts. Pick up stitches with the crochet hook, then knit them with the knitting needle tip. It is easy to pick up running stitches with it, which can then be knitted directly. Using the knitting needle tip to pass through your work, you can quickly draw a lifeline through. 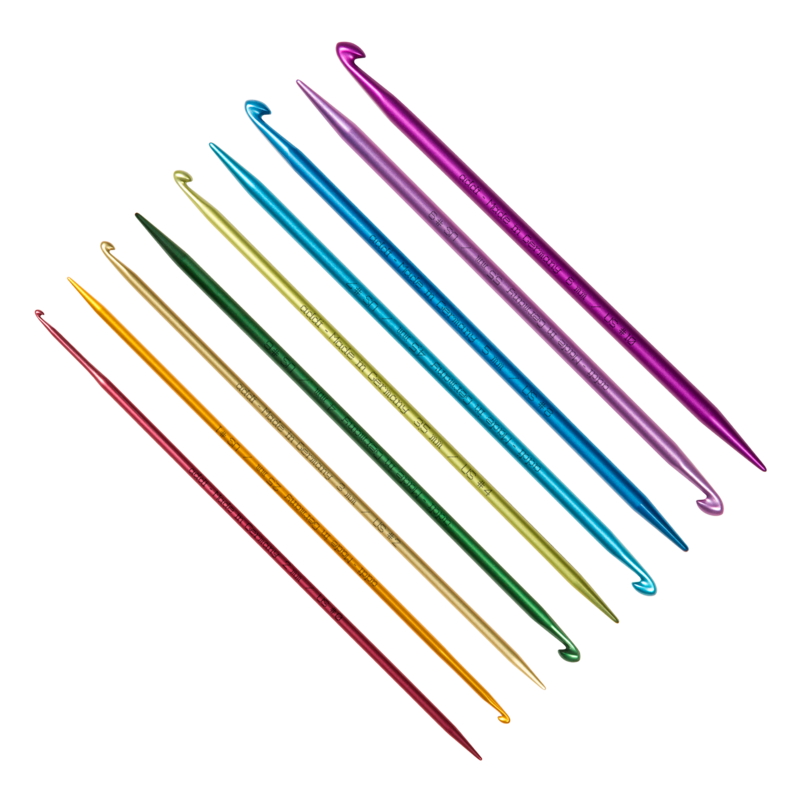 addiDuett crochet hooks are available in sizes 2 mm to 6 mm, and are 15 cm long. Each size comes in a different colour. A quality product, just as you would expect from addi, made in Germany.